The reviews are not good. Apparently it's really tiny. Think the ones purchasing this had better read the reviews on the site as most say its so small you can't make out what it actually is.. Normally £40 so a good discount. Bought one for a family member looks lovely on a chain. Hest added. Bought a 2nd one for my bracelet as he is lovely and local shop said he could go on chain or necklace so..... Paid alot more than 40 though when new I'm sure. Some good deals.Free delivery if spending £60. 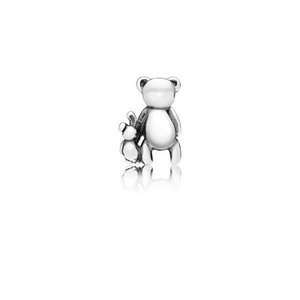 My wife was collecting the Thomas Sabo charms but got to a point where none of the newer charms interested her. I bought a Pandora charm bracelet with a couple of charms for an anniversary gift and my wife couldn't be happier. When the wife is happy with a gift my opinion on quality or value for money doesn't matter. Another other than full price is a welcome offer. Not too sure about the bracelet with the name "explosion of love" though. Imagine how much profit these guys make if this is the sale. Is there a difference between gold plated and gold coated? I have the gold pandora shine bracelet. Would this be okay with it? You only need to check the reviews of Pandora online to see just how bad they are. They are so bad that their angry customers haven’t just given them a very firm 1/5 but they have let out there persistent tirade against pandora.com (the music streaming service) as well, making them both a firm 1/5! !&#x1F604; I have just ordered from them for the first time during this sale and I don’t plan on ever giving them any business ever again. Terrible service all round. One of my items was a bangle that was clearly a customer return that had been bent and was so damaged that when putting it on a table it would rock back and forth! They refused to send me a replacement until I had returned the faulty item. I spoke to almost ten different people of varying childishness who were all clearly untrained and they said I couldn’t talk to a supervisor. They had no knowledge of their own website and were also using an internal computer system that even after 24hours did not show an internal order for issuing a replacement so they had no definite idea if my replacement would ever be sent. Now just waiting on a refund which apparently has been issued, which so far has taken 12days as they don’t prioritise returns at all and they distribute from Belgium! Avoid!! 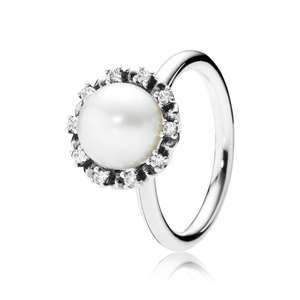 Spend £99 on Pandora to qualify for their free branded Christmas bauble. Other retailers will follow, but as normal Jewel hut is online first. 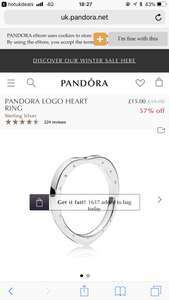 great saving on this Pandora bracelet.£55 on Pandora.item from amazon warehouse discount will be applied at checkout. 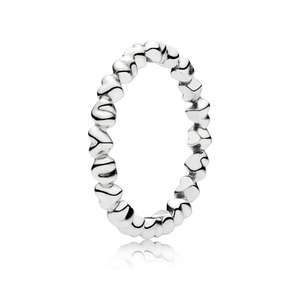 Already posted : https://www.hotukdeals.com/deals/pandora-black-friday-free-75-bangle-with-125-spend-the-jewel-hut-3105050 Linked has free next day delivery too. Definitely was and probably why the free bracelet went out of stock within 3 days! £99 was definitely a more attractive price point, however not sure you'd get away with the above, most retailers would require all items to be returned. Such a shame as I was hoping it would be a free bangle with a £99 spend like last year at pandora on the high street the item I want is £85 but i was willing to spend £100 if they had the same promo as last year , don’t know if spending an extra £40 is worth it when I don’t need it Unless I spend an extra £40 on charms, get the bangle and return the £40 in charms a few days later ? Would that work or would they say I can’t return the charms as I got a free bangle ? Got these today, can't comment if they look good or not, as I have no clue about such things, my wife will tell me when she gets them for X-mas. Quick dispatch, terrible delivery by UPS. No info when the product will be delivered, came home from work to find a note from UPS. Despite the fact the print suggested UPS will attempt 3 deliveries, the note suggested my parcel was left to a shop for pick up. I think the driver wrote the pick up address with his legs, address was incomplete, no info how to get in touch and what to do. Eventually managed to find the shop on the Internet, item located 4 miles away, if I would not have a car i would have not pick it up. Terrible delivery even if it was free, never mind it was £5. Cheap worthless rubbish. Who the hell buys this crap. What a waste of 65 quid. Hi, I ordered from this site last year over £200 worth a bracelet (arrived much bigger than ordered) earrings (ok not real pandora) a rose charm was ok. A mum mum and daughter charm didn’t say mum and daughter it said something completely different. None of it arrived in a pandora box so had to purchase separate from amazon to be able to use as gifts. Emailed the company about error in sizing and charms being incorrect. Still waiting for a response. DONT DO IT - IT IS A SCAM these are knock off pandora and super bad fakes. I placed my Order and then couldn’t contact the company to cancel when I read all the reviews. Can be used on the outlet(sale) too.